247computers.in, m.247computers.in and 24×7 Computers Mobile Applications (24×7 Computers) and its affiliates provide their services to you subject to the terms and conditions given hereunder. If you visit us at 247computers.in, you accept these Terms and Conditions. Please read them carefully. In addition, when you use any current or future 24×7 Computers service (e.g. Your Account/Profile, Gift Certificates, and Your Reminder Service, etc.) or visit or purchase from any business affiliated with 24×7 Computers, whether or not included in 24×7 Computers, you will be subject to these guidelines and conditions for such service or business. These terms and conditions supersede all previous representations, understandings, or agreements and shall prevail notwithstanding any variance with any other terms of any order placed or service provided by 24×7 Computers. By using the shopping and other services of 24×7 Computers, you agree to be bound by these terms and conditions. All products/services and information displayed on 24×7 Computers constitute an “invitation to offer”. Your order for purchase constitutes your “offer” which shall be subject to the terms and conditions as listed below. 24×7 Computers reserves the right to accept or reject your offer at any time or under any circumstances. “24×7 Computers” means the online shopping platform www.247computers.in (site/website), m.247computers.in (mobile site/ mobile website) and the Mobile applications/mobile interfaces applications/ apps) and the services provided by it and its affiliates owned and operated by 247computers.in. which provides a venue / platform to the Users of 24×7 Computers to buy the products listed on 24×7 Computers. “Vendor” / “seller” /”affiliates” shall mean the person or any legal entity who offers for sale, sells the products on the 24×7 Computers platform. “Product/Products” means and includes any goods/merchandise/products/services/offers/display items that are uploaded /showcased/displayed on 24×7 Computers by its Vendor and the related description, information, procedure, processes, warranties, delivery schedule, etc. When you visit 24×7 Computers or send e-mails to us or give us your feedback, you are communicating with us electronically. You consent to receive communications from us electronically. We will communicate with you by e-mail or by posting notices on 24×7 Computers. You agree that all agreements, notices, disclosures and other communications that we provide to you electronically satisfy any legal requirement that such communications be in writing. 24×7 Computers has made this service available to use as a matter of convenience. 24×7 Computersexpressly disclaims any claim or liability arising out of uploading of any obscene, vulgar or pornographic images, photograph or a picture or altering or distorting the images available under this service in an obscene, vulgar or pornographic manner. 24×7 Computers also disclaims all warranties, express or implied, including, but not limited to, implied warranties of merchantability and fitness for a particular purpose.24×7 Computers does not warrant that these sites/applications, its servers, or e-mail sent from24x7 Computers are free of viruses or other harmful components. 24×7 Computers will not be liable for any damages of any kind arising from the use of these sites/applications, including, but not limited to direct, indirect, incidental, punitive, and consequential damages. 24×7 Computers does not endorse in anyway any advertisers/ contents of advertisers on its pages or other communication. 24×7 Computers will not be responsible for any damage suffered by Users from use of the services on its sites/applications. This without limitation includes loss of revenue/data resulting from delays, non-deliveries, missed deliveries, or service interruptions as may occur because of any act / omission of the vendor. This disclaimer of liability also applies to any damages or injury caused by any failure of performance, error, omission, interruption, deletion, defect, delay in operation or transmission, computer or mobiles virus, communication line failure, theft or destruction or unauthorized access to, alteration of, or use of record, whether for breach of contract, tortuous behavior, negligence, or under any other cause of action. User agrees and acknowledges that User shall be solely responsible for User’s conduct and that24x7 Computers reserves the right to terminate your rights to use the service immediately, notwithstanding penal provisions under the Indian cyber laws or any other allied laws enacted by the government of India or any other statutory, legislative or regulatory authority authorized in this regard from time to time. In no event shall 24×7 Computers, its affiliates, employees, agents, consultants, contracted companies be liable for any direct, indirect, punitive, incidental, special or consequential damages or for any damages whatsoever including, without limitation, damages for loss of use, data or profits, arising out of or in any way connected with the use or performance of the 24×7 Computers sites/services/applications for interrupted communications, delay, lost data or lost profits arising out of or in connection with this agreement. 24×7 Computers therefore neither endorses nor offers any judgment or warranty and accepts no responsibility or liability for the authenticity/availability of any of the goods/services/or for any damage, loss or harm, direct or consequential or any violation of local or international laws that may be incurred by your visit and/or transaction/s on 24×7 Computers. 24×7 Computers shall not be liable for any delay / non-delivery of purchased goods by the vendors, trade organization/s, manufacturers / shop etc. (vendors), due to flood, fire, wars, acts of God or any cause that is beyond the control of 24×7 Computers. Notwithstanding anything contained herein, 24×7 Computers acts only as a booking agent/platform to facilitate / integrate transactions between the Users/buyers and sellers through various platforms (online web store, call centre, mail order catalogues, SMS, online mobile webstore, online mobile apps, etc.) for various vendors/affiliates/merchants and shall in no way be responsible for any quality of product, damages, losses, expenses and/or taxes incurred by Users for the products or if the vendors/affiliates/merchants is not able to service the order of the User for any reason or any misrepresentation of any sort by the vendors/affiliates/merchants. In no event shall 24×7 Computers, its directors, officials, representatives and employees be liable for any damages or claims relating to products sold through its various platforms. All prices, unless indicated otherwise are in Indian Rupees and 24×7 Computers reserves the right to enhance the currency offerings or limit the currency offerings at any time without notice.The availability of products is subject to change without prior notice at the sole discretion of 24×7 Computers and orders can be cancelled if the product goes out of stock with the Vendor/Seller.24×7 Computers reserves the right to refuse or cancel any order placed for a product that is listed at an incorrect price which may be higher or lower than published. This shall be regardless of whether the order has been confirmed and/or payment been levied via credit card or cheque or otherwise. In the event the payment has been processed by24x7 Computers the refund amount shall be credited to your credit card account or sent by cheque, and you would be duly notified by email. In a credit/debit card transaction, you must use a credit /debit card that is issued in the name of the User.24×7 Computers will not be liable for any credit/debit card fraud because of the card being used fraudulently. The liability to use a credit/debit card or a net banking transaction fraudulently will be on the User and the onus to ‘prove otherwise’ shall be exclusively on the User. In the event that a non-delivery occurs on account of a mistake by you (i.e. wrong name or address) any extra cost incurred by 24×7 Computers for re-delivery shall be claimed from the User placing the order. All products are duly screened and assured by the vendors to ensure that the products are of the standard, quality, composition, style or model that they represent and as displayed on 24×7 Computers on behalf of the vendor/merchant/affiliate/merchant. All and any additional information/description, etc. for a product that is displayed/showcased on 24×7 Computers is on behalf of the vendor/merchant/affiliate/manufacturer and is as provided to 24×7 Computers. 24×7 Computers does not take any responsibility for any incorrect or error in the display/showcase of such information. Presently, the service(s) of 24×7 Computers Shopping are being offered free. However, 24×7 Computers reserves the right to charge a fee for any or such facilities or freight or handling charges or shipping charges or statutory taxes as per the terms of the buyer/seller. 24×7 Computers also reserves the right to offer certain services or product offers, exclusively to a limited set of customers at its sole discretion or under specific terms & conditions. 24×7 Computers and its affiliates reserve the right to cancel orders for the product in their sole discretion for any reason which can include but not limited to, the product being out of stock, or for any other reason without intimation to the User. Use of the 24×7 Computers is available only to persons who can form legally binding contracts under Indian Contract Act, 1872. Persons who are “incompetent to contract” within the meaning of the Indian Contract Act, 1872 including minors, un-discharged insolvents etc. are not eligible to use 24×7 Computers. If you are a minor i.e. under the age of 18 years, you shall not register as a member of the 24×7 Computers and shall not purchase any items. As a minor if you wish to purchase an item, such purchase may be made by your legal guardian or parents who have registered as users of 24×7 Computers or can use 24×7 Computers as a Guest User. 24×7 Computers reserves the right to terminate your registration and refuse to provide you with access to 24×7 Computers if it is brought to 24×7 Computers Ã¢? ?s notice or if it is discovered that you are under the age of 18 years. The logo / image of 24×7 Computers on the home page of the websites , mobile site or applications & other pages and as used in the communication to the User is registered by 24×7 Computers and cannot be used or communicated or distributed without the specific and written permission of 24×7 Computers. 24×7 Computers grants you a limited license to access and make personal use of the websites/ mobile sites / applications and not to download (other than page caching) or modify it, or any portion of it, except in case 24×7 Computers gives consent for the same. This license does not include any resale or commercial use of this site or its contents; any collection and use of any product listings, descriptions, or prices; any derivative use of these websites/ mobile sites/applications or its contents; any downloading or copying of account information for the benefit of another merchant; or any use of data mining, robots, or similar data gathering and extraction tools. These sites/applications or any portion of these sites/applications may not be reproduced, duplicated, copied, sold, resold, visited, or otherwise exploited for any commercial purpose without express written consent of 24×7 Computers. You may not frame or use framing techniques to enclose any trademark, logo, or other proprietary information (including images, text, page layout, or form) of 24×7 Computers and our affiliates without express written consent. You may not use any meta tags or any other “hidden text” and 24×7 Computers’s name or trademarks without the express written consent of 24×7 Computers. Any unauthorized use terminates the permission or license granted by24x7 Computers. You are granted a limited, revocable, and non-exclusive right to create a hyperlink to the home page of 247computers.in as long as the link does not portray 24×7 Computers, its affiliates, or their products or services in a false, misleading, derogatory, or otherwise offensive matter or having a right to ownership of the same in any form. You may not use any 24×7 Computers logo or other proprietary graphic or trademark as part of the link without express written permission. If you use 24×7 Computers, you are responsible for maintaining the confidentiality of your account and password and for restricting access to your computer, and also you agree to accept responsibility for all activities that occur under your account or password. 24×7 Computers does sell products for children, but it sells them to adults, who can purchase with a credit card or otherwise. If you are under 18, you may use24x7 Computers only with involvement of a parent or guardian or otherwise, 24×7 Computers has the right to cancel any order or service to the User. 24×7 Computers and its affiliates reserve the right to refuse service, terminate accounts, remove or edit content, or cancel orders in their sole discretion. 24×7 Computers is associated with various business partners for the supply and service of goods directly to the customers. 24×7 Computers is a marketplace for the products with its business partners. The after sales service and warranty for the products sold by our business partners, as duly applicable, for the respective products, will be taken undertaken and handled by the respective business partners or through their respective service centres. Visitors may post reviews, comments, and other content; and submit suggestions, ideas, comments, questions, or other information, so long as the content is not illegal, obscene, threatening, defamatory, invasive of privacy, infringing on intellectual property rights, or otherwise injurious to third parties or objectionable and does not consist of or contain software viruses, political campaigning, commercial solicitation, chain letters, mass mailings, or any form of “spam.” You may not use a false e-mail address, impersonate any person or entity, or otherwise mislead as to the origin of a card or other content.24×7 Computers reserves the right (but not the obligation) to remove or edit such content, but does not regularly review posted content. If you do post content or submit material, and unless we indicate otherwise, you grant 24×7 Computers and its affiliates a nonexclusive, royalty-free, perpetual, irrevocable, and fully sub-licensable right to use, reproduce, modify, adapt, publish, translate, create derivative works from, distribute, and display such content throughout the world in any media. You grant 24×7 Computers and its affiliates and sub-licenses the right to use the name that you submit in connection with such content, if they choose. You represent and warrant that you own or otherwise control all of the rights to the content that you post; that the content is accurate; that use of the content you supply does not violate this policy and will not cause injury to any person or entity; and that you will indemnify 24×7 Computers or its affiliates for all claims resulting from content you supply. 24×7 Computers has the right but not the obligation to monitor and edit or remove any activity or content. 24×7 Computers takes no responsibility and assumes no liability for any content posted by you or any third party. All items purchased from 24×7 Computers are made pursuant to a shipment contract. This means that the risk of loss and title for such items pass to you upon the delivery to the carrier by the vendor/merchant/affiliate/manufacturer. 24×7 Computers and its affiliates attempt to be as accurate as possible. 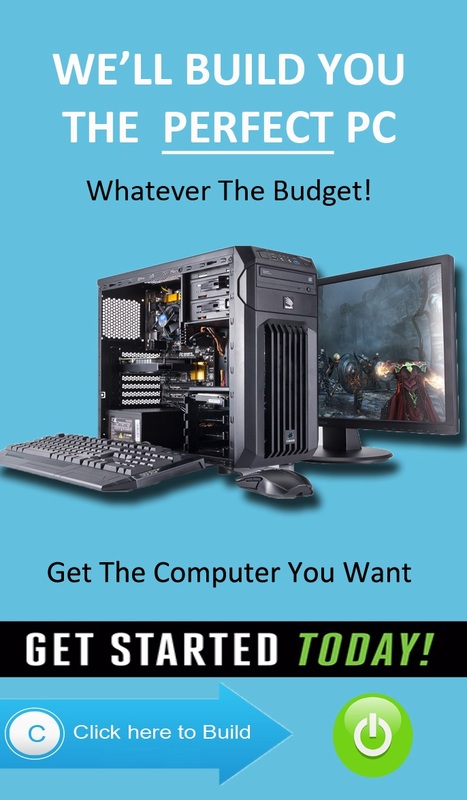 However, 24×7 Computers does not warrant that product descriptions or other content or prices/amounts on 24×7 Computers are accurate, complete, reliable, current, or error-free. If a product offered by 24×7 Computers itself is not as described, your sole remedy is to return it in unused condition. Except where noted otherwise, the Selling Price/HS18 price/MRP/MOP/List Price/Offer Price displayed for products on our websites/mobile sites/applications represents the full retail price listed on the product itself, suggested /offered by the manufacturer or supplier or one of our merchants/affiliates, or estimated in accordance with standard industry practice; or the estimated retail value for a comparably featured item offered elsewhere. The Selling Price/HS18 price/MRP/MOP/List Price/Offer Price is a comparative price estimate and may or may not represent the prevailing price in every area on any particular day. For certain items that are offered as a set/pack/combo/arrangement, the Selling Price/List Price/HS18 price may represent “open-stock” prices, which mean the aggregate of the manufacturer’s estimated or suggested retail price for each of the items included in the set/pack/combo/arrangement. The final price that will be applicable to a user for purchase and payment will be as per the price that is displayed in the shopping cart of the customer which can be inclusive or exclusive of any other charges in terms of the usage of24x7 Computers. Certain elements of the sites/applications will contain material submitted by users. 24×7 Computers accepts no responsibility for the contentâs accuracy or nature or to the conformity to applicable laws of such material. Part of the sites/applications contains advertising/other material submitted to 24×7 Computers by third parties. Responsibility for ensuring that material submitted for inclusion 24×7 Computers complies with applicable International and National law is exclusively on the advertisers and 24×7 Computers will not be responsible for any claim, error, omission or inaccuracy in advertising material. 24×7 Computers reserves the right to omit, suspend or change the position of any advertising material submitted for insertion. Acceptance of advertisements on 24×7 Computers will be subject to 24×7 Computers terms and conditions which are available on request. You shall indemnify and hold harmless 24×7 Computers, its subsidiaries, affiliates, third-parties and their respective officers, directors, agents, and employees, from any claim or demand, or actions including reasonable attorneys’ fees, made by any third party or penalty imposed due to or arising out of your breach of the User Agreement and Terms and Conditions or your violation of any law, rules or regulations or the rights of a third party. o Keep the customer informed of the process of Opting- IN & OUT of the SMS Promotions Service on a fixed periodic basis. o Not send any objectionable, obscene, unauthorized content, message or communication which is against public interest or national security or which infringes any copyright, intellectual property right etc, and the information does not contain any content which may violate any law of the land. 24×7 Computers shall have no liability to you for any interruption or delay in access to the Sites/Applications irrespective of the cause. If any dispute arises between you and 24×7 Computers, in connection with the validity, interpretation, implementation or alleged breach of any provision of the User Agreement and Terms and Conditions, the dispute shall be first referred to a sole Arbitrator who shall be an independent and neutral third party identified by 24×7 Computers. The place of arbitration shall be Delhi/New Delhi. The Arbitration & Conciliation Act, 1996, shall govern the arbitration proceedings. The arbitration proceedings shall be in the English language. This site is created and controlled by 24×7 Computers. The laws of India shall apply and courts in Delhi/New Delhi shall have jurisdiction in respect of all the terms, conditions and disclaimers. 24×7 Computers reserves the right to make changes to the terms, conditions and disclaimers at any time and without information to the customers/users of the services/of 24×7 Computers. Users are advised to regularly check for any amendments or updates to the terms and conditions contained herein.